Unlike other academic programs in immigration studies, Metropolis Professional Development training, through its international faculties, is intended to avoid academic discussion and instead focus on finding the systems that get the best results through monitoring and evaluation tools. “Many new countries are getting into the immigration game and don’t know what to do,” said Howard Duncan, executive head of Metropolis, an international network of immigration policy-makers and researchers based at Ottawa’s Carleton University. The not-for-profit program aims to give policy-makers, international migration organizations, community groups and private sectors that deal with immigrants a broader understanding of the global phenomenon and guides in problem solving — like an MBA in immigration. “The global competition for talents and migrants is heating up. There is a huge demand and need for this kind of training,” noted Duncan. Canada offers unique training in managing migration | Toronto Star. Three and a half decades later, Adelman, Molloy and Alboim wondered if the courage and leadership that characterized the boat people rescue effort could be transferred to the Syrian refugee crisis. They established a three-person task force to develop new strategies for refugee resettlement in Canada and crisscrossed the country talking to a variety of experts. In three reports discussing possible policies, they outlined projects that might revitalize refugee resettlement. A core concern is the fact private refugee sponsorships, so successful in the “boat people” crisis, have atrophied and become the preserve of faith-based communities, ethnic and cultural groups. They want to expand the base of people involved in sponsorships, creating more opportunities for groups such as book clubs, neighbourhood associations or unions, to become involved. Can Canada duplicate its boat people rescue with Syrian refugees? | Toronto Star. Migration Nation introduces the concept of the Cultural Lens, which affects how people view products, services, or brands in the Canadian landscape. The Cultural Lens is shaped by one’s ethnic culture, pre-migration experiences with products and brands, and post-migration experiences of acculturation. Together, all those factors influence one’s habits and attitudes towards retailing, service style, and service conventions. Yet, while such practices may trend culturally, they also vary by individual, particularly post-migration. Many immigrants experience a period of disorientation as they scramble to get their ducks in a row, but over a few years, a greater sense of belonging and ease develops as they acculturate, and although they never really forget or lose their cultural roots, a sense of independence begins to balance their earlier cultural practices. “The settlement journey as we conceive it is not a linear process of leaving one’s ethnic culture behind and adopting something else,” the authors write. They very simply and meaningfully explain the stages of disorientation, orientation, belonging, and independence that characterize the immigrant’s settlement journey. It makes for interesting reading for any marketer, but perhaps especially for those not born overseas or who have not lived in another country. Understanding the settlement journey will help marketers to better understand their consumers and the need to communicate with them in a more relevant and actionable manner. 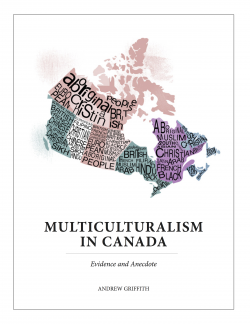 Multicultural Marketing: Tokenism Won’t Cut It – New Canadian Media – NCM. The lesson of Arthur Porter is simple. He was exactly the wrong kind of person to appoint to SIRC: No political experience, no knowledge of the world of security and intelligence, no capacity for thoughtful, non-partisan analysis, no moral compass. Now it behooves the current government and its successors to give serious thought to what the right kind of person should be. A start could be made by actually appointing a SIRC chairman. The SIRC chairmanship has been vacant since Chuck Strahl’s resignation in January and the committee is down to three members, rather than the statutory five. Any fresh appointment to the SIRC chair should involve a much-more transparent process, involving genuine consultation with opposition parties and hearings before the appropriate Parliamentary committee. In that way, we might avoid a future man-on-the-make and actually give SIRC greater credibility and clout. There’s an appetite for hockey within this new, largely untapped, market according to Dave Croutch, Director of the North York Hockey League. He says introducing the sport to new immigrants is an effective way to build community and integrate them more seamlessly into North American life. “If Billy and Johnny are talking about hockey in the playground at school, [some students] previously were not part of that conversation. But now that they’re playing the game, they are actually part of the conversation,” said Croutch. Maple Leaf Sports and Entertainment donated hockey equipment to the effort. They acknowledged introducing hockey to new immigrants is a good way to grow the sport and add diversity to the game. “You look at Nazem Kadri for the Toronto Maple Leafs and his ethnicity. It’s a great thing for the diversity of Toronto,” says Nilesh Chauhan, who’s with the MLSE Foundation. “The most I enjoy about hockey is that now if we get our own rink, we can play as much as we want. Because before it cost a lot of money and we didn’t get enough ice time,” says Ayaan, a young boy who was donning a Maple Leafs jersey during the fundraiser. Hockey used to ‘Canadianize’ new immigrants and help grow the sport – Toronto | Globalnews.ca. Rex Murphy makes the case for revoking citizenship. Priests are defrocked; medals from honour societies have been imperiously stripped from their holders; soldiers are court-marshalled and drummed out in disgrace; lawyers disbarred, judges swept from the bench, Senators tossed from caucuses, and even Presidents impeached. The soldier who flees in combat and exposes his fellows to danger is seen as not worthy of being a solider. The judge who has oiled his palm with a bribe is seen as not worthy of being a judge. Treason and excommunication are long-standing responses to ultimate disfealties — and they are surely a kind of cancellation of status, one by the death penalty, the other by exclusion from the community of believers and the possibilities of salvation. To my mind, these are all of an inferior enormity to the case of a citizen who abandons the country in which he was born, or to which he gave the oath of citizenship, who then pledges his fealty to a murderous band professing a murderous creed. It’s a strange world in which we have even to contemplate such exigencies, but it is a strange world we find ourselves in today, in which nationals of the democracies willingly travel abroad to invest themselves in the orders of international terrorism, spit on their achieved citizenship, and threaten the safety of their onetime fellows in nationality. The denial of passports is a stage toward the denial of citizenship. But the denial or witholding of passports is not a sufficient signal of the detestation a country and its people hold for those who so contemptuously forsake the gifts of loyalty and respect that a country rightfully commands from real citizens. So to use his examples, decisions to defrock a priest do not depend on whether he was born into that religion or converted. Neither are medals stripped, soldiers court martialed, lawyers disbarred, judges swept from the bench, or Senators tossed on the basis on the distinction whether they are single or dual nationality. It is the crime or infraction that determines the punishment, with the same punishment for the same crime. Passport cancellation applies to all, Canadian-born or naturalized, single or dual nationality, and thus consistent with the fundamental principle of equal treatment. So pursue relentlessly, punish through the Canadian justice system but don’t make a distinction between nationality. After all, we have any number of Canadian-only nationals involved in extremist activity (e.g. Damian Clairmont, the Gordon brothers, John Maguire). One of the unintended consequences of NSA over-reach in scooping up so much data. Another reason to buy an iPhone? Apple declined to comment. But officials inside the intelligence agencies, while letting the FBI make the public protests, say they fear the company’s move is the first of several new technologies that are clearly designed to defeat not only the NSA, but any court orders to turn over information to intelligence agencies. They liken Apple’s move to the early days of Swiss banking, when secret accounts were set up precisely to allow national laws to be evaded. The move raises a critical issue, the intelligence officials say: Who decides what kind of data the government can access? Until now, those decisions have largely been a matter for Congress, which passed the Communications Assistance to for Law Enforcement Act in 1994, requiring telecommunications companies to build into their systems an ability to carry out a wiretap order if presented with one. But despite intense debate about whether it should be expanded to cover email and other content, it has not been updated, and it does not cover content contained in a smartphone. Inside Apple and Google, company executives say the U.S. government brought these changes on itself. The revelations by former NSA contractor Edward J. Snowden not only killed recent efforts to expand the law, it made nations around the world suspicious that every piece of American hardware and software – from phones to servers made by Cisco Systems – have “back doors” for U.S. intelligence agencies and law enforcement. Surviving in the global marketplace – especially in places like China, Brazil and Germany – depends on convincing consumers that their data is secure. Security agencies condemn use of encryption on iPhone 6 – The Globe and Mail. Christy Clark says a simple name change might help. That said while Clark emphasized BC needs foreign workers to fill some jobs she says British Columbians must be in the front of the employment line. Premier proposes name change for Temporary Foreign Worker program | CKNW AM AM980. Restaurants Canada president Garth Whyte said he had concerns about the data when the government released its figures in June but the names of the employers weren’t known until now. He said the government should have checked the information before using it. “The math doesn’t add up,” he said. Mr. Kenney’s office said he was not available for an interview Friday. A department spokeswoman responded to The Globe’s questions about the data in an e-mail by saying that the government’s changes are intended to restore the TFW program to its original purpose, as a short-term last resort for employers. She did not say whether they intend to review the data. There have been other data problems in the federal government. Statistics Canada issued a major correction to its July jobs numbers after human error led the agency to vastly under-report growth in hiring. And in March, The Globe revealed that Finance Canada was using job postings from Kijiji, a popular online classified site, in its job-vacancy calculations. As a result, Finance Canada’s numbers differed from Statistics Canada’s. Restaurants Canada and the CFIB are concerned that TFW program changes will harm businesses in regions with labour shortages. Not sure how and why these mistakes happened (reduced capacity, time pressures, political direction to move too quickly) but another illustration why solid data and evidence necessary (but I still find no justification for fast food Temporary Foreign Workers and equivalent). Temporary foreign worker data dont correspond with reality – The Globe and Mail.